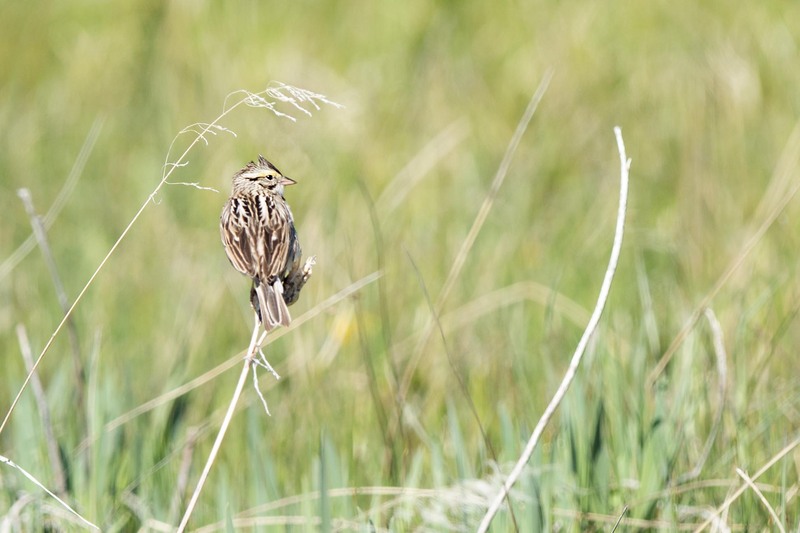 A Savannah Sparrow enjoys the morning light and summer grass on the high grasslands of northern Colorado. He does look pretty content. I do think he was. A cool summer morning that day. Hope your day is going well. It’s just gone midnight and I’m off to bed now! Enjoy your day. Beautiful shot, framed by the grass! Thanks Belinda and I am pleased you enjoyed the photo. It is a difficult proposition to try and capture both a bird and the environment they live in. Hope you are having a wonderful weekend. It can be tricky but you certainly were successful! Oh, how I love a summer meadow! Hi Eliza, yes everyone out there seemed to be enjoying the including myself. Hope your weekend is off to a great start. Hot one here. I guess the new normal is abnormal? Absolutely right, I’m afraid to admit. Oh, my, what a lovely day! I must say his eye-profile immediately made me think of the Wedgat Eye, of Egyptian antiquity (I have a reproduction sitting right where I can see it)! Hi and it was a nice quite lovely day. I know many folks prefer wildlife shots close up I find it challenging and fun to try to represent the bird/animal in their environment as equal and getting that over the shoulder look like the wedgat eye you mention seems to happen quite often was the bird give you a little glance to confirm they are aware of your presence.